Amongst the 20+ different line ups, in my view there have been 9 distinct Steeleye Bands/Era's, ones that have toured and released material. they are listed below and incorporate the transitional line ups in a way that tries to make sense of a very large number of changes over the years!. Detailed information on why the changes happened and people left etc are on the relevant time-line pages. +Violeta Barena on 2019 tour as cover for Jessie on Maternity leave. The current 7 piece line-up, the first in the bands history, started in 2017 with the additions of Benji Kirkpatrick and Roger Carey. Roger was a straight replacement for Rick Kemp, the 'Classic Line-up' Bass player. Benji was an additional member, mainly to add back in the Rhythmic Guitar role that Pete Zorn filled ('Now we are 6 again' 2010 line up). Benji also adds vocals as well as bringing a more contemporary folk sound to the band (Bouzouki & Banjo) and frees up Julian to add in more keyboards/mandolin, and even an accordion. Jessie-May Smart was the replacement for another 'Classic' band member -Peter Knight on fiddle. Julian Littman replaced Ken Nicol on guitar/vocals. 'Spud' Sinclair replaced Pete Zorn becoming the bands first upfront 'lead' guitarist, leaving Julian to fill the 'Rhythm guitar role until Benji joined. Liam Genockey had joined in 1989 and is the second only regular drummer Steeleye have had and with 25 years in the band is the 5th longest serving member. Where it all began. But it didn't start smoothly as the initial line up recorded one album but never played live. With Peter Knight and Martin Carthy joining to replace the Woods, the overall sound of the band remained the same, still led by Ashley's initial purpose - the electrification of traditional British folk songs. 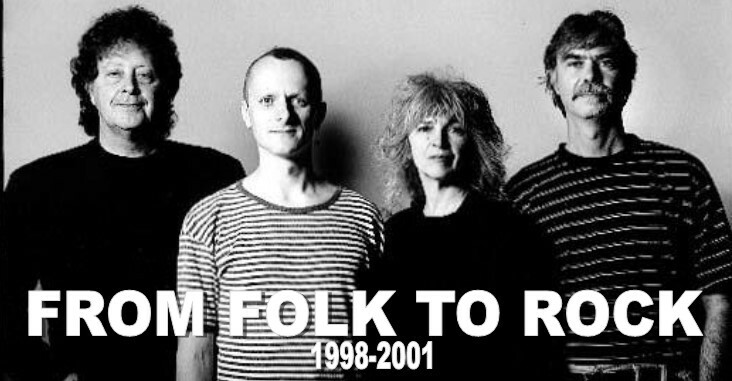 With a fiddle player on board and no drums, inevitably the sound did change slightly and this line-up recorded 2 albums which became Electric-Folk standards, generating a fair bit of interest in the Music Press and featured in a large number of BBC sessions. They were supported by John Peel who featured the line up often. The line-up is often referred to the Carthy years due to the big influence of Martin who was an already established and highly regarded Folk artist. Below the Salt; Parcel of Rogues; Now We are Six; Commoners Crown; All Around My Hat; Rocket Cottage; Sails of Silver; Back In Line. Considered the 'Classic' Line up because they created the signature Steeleye 'folk-rock' sound with big-ballads, a progressive sound and more emphasis on the Rock than the previous 'Electric Folk' line ups. Rock musicians Rick Kemp and Bob Johnson took over from founder Ashley Hutchings and Martin Carthy respectively. Nigel joined on 'Now We are Six' to beef up the sound as they started to tour big concert venues. This line up toured America and Europe, made front pages of the Music Press, had their own TV series, charted with Singles and Albums and created the legacy that remains today. The line up got back together in 1980 at the request of Chrysalis and ended with Rick Kemp's leaving in 1987 & Nigel shortly after. Tim Hart had left in 1982 but was not replaced. Carthy Return! were the headlines. With Bob and Peter leaving after the band took 6 months off, Martin returned bringing along Accordion player John Kirkpatrick - whom Carthy had wanted to join back in '71. The line up was brought together to finish the bands obligations to Chrysalis and was never meant to be permanent. The sound of the band changed and became less Rock oriented but two great albums were released and a big final 'farewell' tour in 1978 took place. Tempted and Tried; Tonight's the Night; Time. As the Classic line up had reformed and then petered out in the 80's after Rick left in 1987 and Nigel Pegrum in 1989 (straight after recording Tempted and Tried ) changes were needed. Tim Harries and Liam Genockey came on board and a stable period began with the band returning to more 'full time' basis after a few years of occasional tours and new material. These keen new members, along with Bob giving up outside musical interests and Peter returned from America gave the band a new lease of life, especially from 1994 on. In 1994 with Maddy having some voice difficulties, Rick suggested that they get Gay Woods back in to help lighten the load on the vocals. It went well and Gay stayed on, mainly in the background but also contributing songs to the well regarded 'Time' album. The line up also helped get together the big 'Reunion' concert of 1995 and toured with Status Quo in '97. Maddy leaves the bus! Liam left as well but the band continued as a 4 piece with guest drummers. In a busy 4 years two very different albums were made, going from an acoustic sounding first album to a return of genuine Folk-Rock with Bedlam Born. The band then self-destructed with Bob leaving after recording Bedlam Born (Rick Kemp stepped in for the Bedlam tour in 2000 after 15 years away as Tim moved to lead guitar), Gay then left in 2001 leaving Tamsyn to sing at a pre-committed festival appearance in 2001 joining Pete, Rick, Tim and Terl. Tim then left after this to herald in the next line up. The Group that would became the longest unchanged line up in the bands history was born from crisis. For a time in 2001 Peter was the only member of the band after Gay Woods, Tim Harries and Bob Johnson all left in quick succession. It was decided that to save the band it needed the return of as much of the classic line up as possible. Crucially Maddy Prior returned, and along with Rick who had toured with the last line up, plus Bob (briefly) it meant the nucleus of the line up that made them famous could return. Although Bob retired soon after, the recruitment of Ken Nicol, former Albion Band member was a great move and the band became a unified and stable working group that toured extensively releasing a number of live albums, DVD's along with 5 studio albums. Julian Littman was a straight replacement for Ken Nicol who left in 2010 and Pete Zorn, who had joined the 2009 tour as cover for Rick when he was ill, became a full time member as the band found his multi-instrumental ability gave them a new dimension. The line up re-worked the 'Now We are Six' album in a live setting and recorded the most successful Steeleye album since All Around My Hat, with the 'Wintersmith' concept album which hit the UK charts. 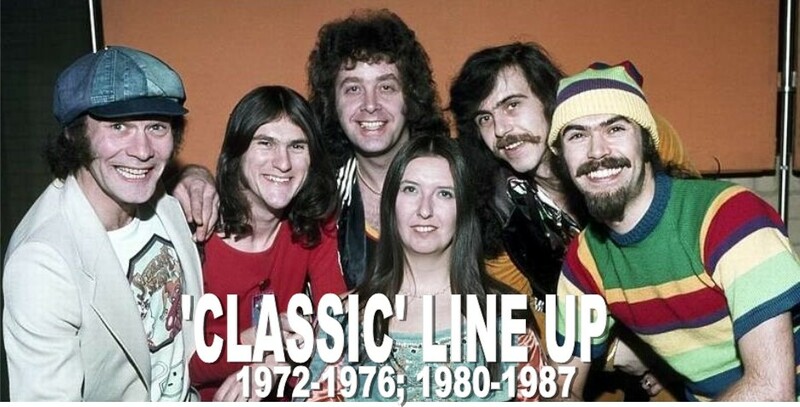 The departure of Peter Knight was a big change for the band as he had been in Steeleye through thick and thin since 1970 apart from 2 years off in 77-78. The inclusion of Jessie-May Smart, a 20 something classical violinst was a bold change. With Pete Zorn leaving in 2015 and sadly passing away soon after, 'Spud' Sinclair came in on lead guitar to further enhance the big changes and new Rock focused outlook as the band showed no signs of standing still.